Concerning the various cinematic explorations of the global hot-button issue of displacement, the Painting with Light: Festival of International Films on Art returns this October with an exciting lineup of over thirty carefully curated works consisting feature films, short films, and single channel video works, scattered throughout four sections. Finding time off her busy schedule, Festival Director Suenne Megan Tan chats with SINdie about the Festival and what to expect this year. Why was Painting with Light: Festival of International Films on Art founded, and what is its mission? Painting with Light is an annual film festival dedicated to arts and its possibilities as an agent of change. We are using film as a medium with an accessible entry point to art, and strong storytelling power to connect with a wider audience, encourage appreciation for the arts, and to foster a thoughtful and inclusive society. This year, we have curated a list of over 30 local and international films to facilitate conversations on the role of art and museums, and offer new perspectives to critical issues in society today. How was last year’s experience, and do you feel that it has changed the way the festival is organised this year? The response to the first edition of the festival was very encouraging, and we noted that audiences particularly enjoyed the post-screening dialogues and discussions. It indicated that there was a budding interest in films that addressed important issues in society and the world at large. Hence, we have also planned more of such platforms to facilitate discussions, including a public forum on 6 October with filmmakers Kamila Andini and John Clang, as well as historian Dr Mohamed Effendy on some of the themes surfaced in the films. What do you feel are some key strengths of National Gallery Singapore that helped make Painting with Light successful? Our conviction to use art to foster a thoughtful and inclusive society since the Gallery’s opening in 2015 has put us in good stead to take the lead in facilitating conversations on the transformative power in art among our audience. This ranges from the exhibitions and programmes the Gallery organises, including Painting with Light. The programming of Painting with Light demonstrates the affinity between film and other artistic forms to define the role of art in our society, which are accessible entry points for our audience. How were the four sections (Holding Space, Ways of Seeing, Special Focus, and Southeast Asian Shorts) conceptualised? Did each section demand its own programming philosophy or priority? The four sections address different but interrelated topics to facilitate the same intended outcome - to create space for dialogue about the relevance of art and the change it can inspire in society. They also allow us to profile filmmakers/artists who push the envelope and venture beyond present realities to visualise a more ideal society. What can the audience expect from this year’s edition? The festival will open with the debut feature of acclaimed Singapore visual artist John Clang, entitled Their Remaining Journey (2018), which examines the intertwining stories of three seemingly unrelated groups of people around the world as they negotiate personal loss and displacement. This year’s Special Focus section will also highlight the unsettling experience of transition. Glimpse (2017) by Polish visual artist Artur Żmijewski presents the living conditions of displaced families living at four refugee camps across Europe, and forces us to confront the way we see. Central Airport THF (2018) by based-in-Berlin Brazilian visual artist Karim Aïnou, on the other hand, follows asylum seekers at the massive hangers of the former Tempelhof. What do you wish for the audience to take away? We hope the audience will be exposed to different perspectives from regional and international filmmakers on the themes highlighted, including the challenges of displacement, and migration, and from there, cultivate empathy towards different communities in our society. 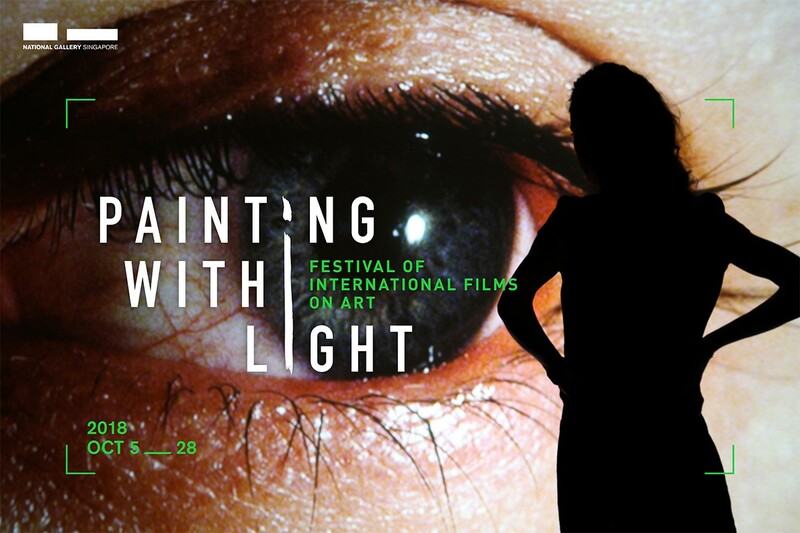 Painting with Light: Festival of International Films on Art runs from 5 to 28 October. Tickets and further information can be accessed here.